Livestock - Abilene Ag Service & Supply, Inc.
Abilene Ag Service & Supply, Inc. 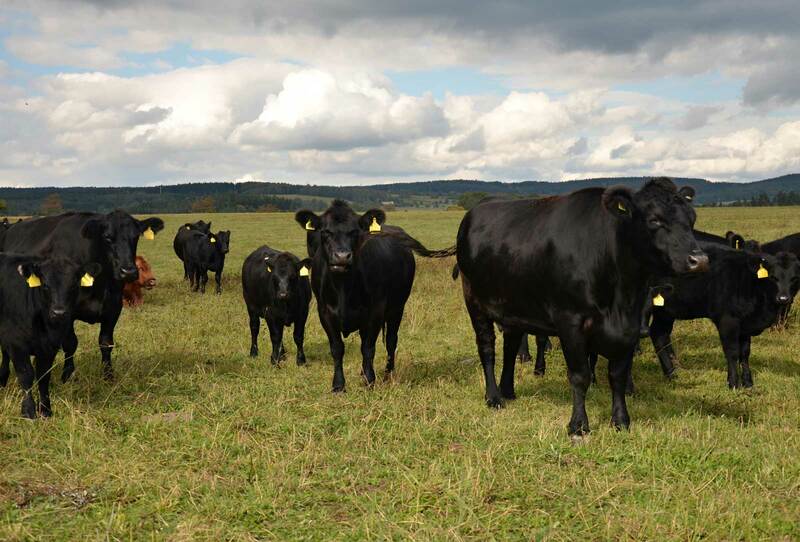 Here at Abilene Ag, we carry a line of the very common medicines and supplements you will need to keep your animals healthy throughout the year – some of which will require an approval from your veterinarian to purchase. Please call ahead of time if you think what you need will need approval so we can assist you in any way we know how. Also, if we do not have what you are looking for, we will gladly order what you need to move forward with getting your animals healthy again. 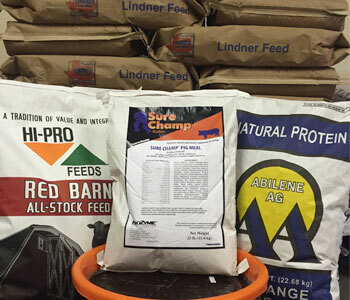 We carry a full line of Lindner Pig Feeds, Sunglo, Hi-Pro, and BioZyme products as well as many other feeds including our own Abilene Ag mixed feeds. Our feed mill on site is still running today and manufacture’s our Abilene Ag mixed feed products and custom blends for our customers. We are also proud to carry supplements from Lindner, Sunglo, and Biozyme. 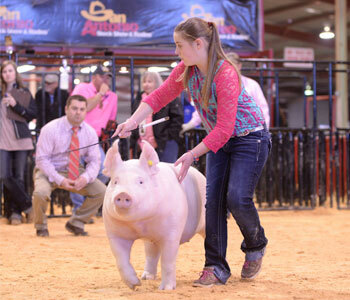 Abilene Ag is the place to shop for all your animal care needs. From pet foods and supplies to large animal vaccines and medications, we can supply all products for your pet or production animal operations. We even have the prescription medicines that your veterinarian prescribes. Your veterinarian needs to approve your purchase before it is bought, please be prepared. 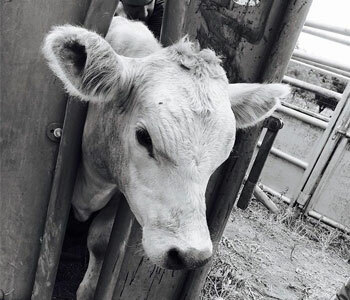 We have all of the very common medicines that any 4H or FFA member would need for their livestock. Our friendly and knowledgeable staff can also assist you in choosing the right product. If we don’t stock what you are looking for, we can order it for you. What does quality mean to you? To us, it means the finest materials, skilled craftsmanship, innovative design and attention to detail. You can rest assured that you’ll find them all in each and every product you buy from us. When you choose from our nearly full line of Weaver Leather Livestock products, you get unparalleled quality that will have you coming back again and again. That’s our promise to you and your success as a showman. Head on over to our contact page, fill out the form to get in touch with us today!